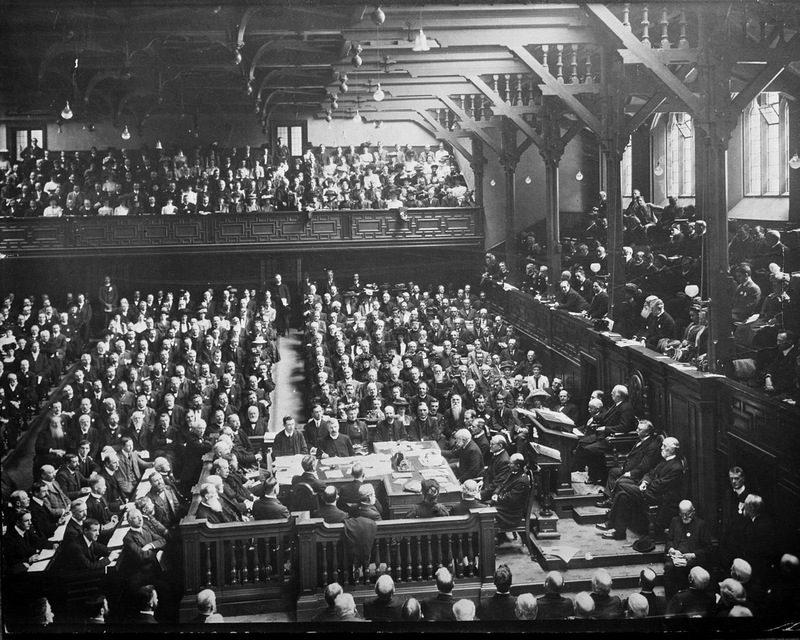 On this date in 1910, the World Missions Conference opened in Edinburgh, Scotland. There were 1200 delegates, primarily from North America and Northern Europe. They were unaware that brewing in Europe and elsewhere were totalitarian ideologies whose followers would also show great confidence—and would be willing to change the world by force not persuasion. Evangelism itself is more global. As mentioned above, the first World Missions Conference in Edinburgh primarily drew representatives from Northern Europe and North America. But at the 2010 World Missions Conference, also in Edinburgh, there were delegates from more than sixty nations. Lawton writes, “the missions scene was dramatically changed with thousands of missionaries from Asia, Africa, and Latin America—some taking the gospel to their own people but some taking the word to an increasingly secularized Europe and United States.” In conjunction with the June Edinburgh meeting there were also meetings held in Tokyo in May, Cape Town in October, and Boston in November. Evangelism is more ecumenical. The first Edinburgh conference was exclusively Protestant. The centennial Edinburgh conference included representatives of the Evangelical, Protestant, Orthodox and Pentecostal churches, as well as the Roman Catholic Church. The world is less Christian. Like I said earlier, I’m not sure where Lawton got the figures, or by what criteria he says the world was 35% Christian in 1910. That number seems high to me. But for sure, that number seems ridiculous today. The Pew Forum marks the world Christian population at 31%, but that number is inflated with individuals (and even entire countries) that self-identify as Christians but have no concept of a personal relationship with Christ.